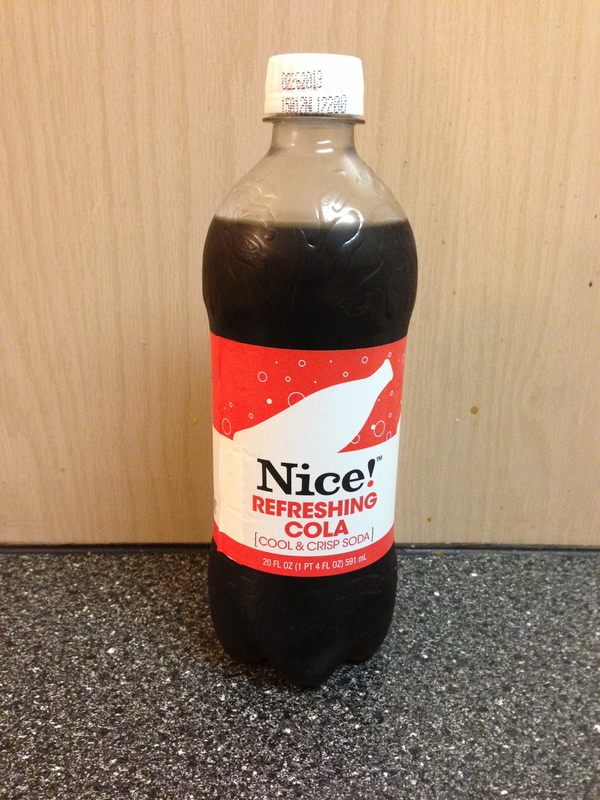 All I can think about when I drink Nice! Cola is that scene from Wayne's World where they're trying out the green screen. They're pretending to be in all these places and then they get to Delaware and suddenly they’re really bored. Nice! Cola is Delaware. It’s not bad, it’s just nothing remarkable. I don’t even know if I’d call it average, it’s just...there. If there is a “water” of colas, this is it. I don’t even know if bland is the right word to use. It has flavor, and it is cola flavor. It’s almost as if it is surrounded by a force field that prevents it from being the cola it could be, and instead just gives you the tiniest bit of cola flavor. Not watered down, just not very prominent. This is probably a prime example of why the review scale here is the way it is. You need to try this, just so you can understand what I’m talking about. After that, never, ever buy one of these again.